Yes, esports are big — can we shut up about that now? Yes, esports are big enough to fill an Olympic stadium — can we shut up about that now? 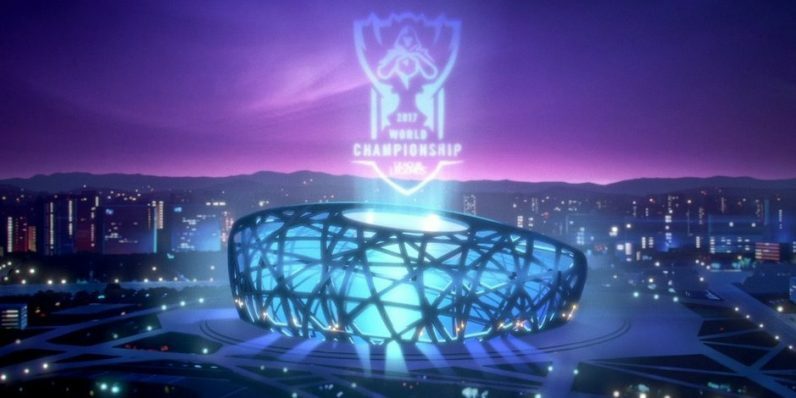 The finals of the League of Legends World Championships are starting tomorrow (0r later tonight, depending on your timezone), and they’ll be taking place inside the Beijing National Stadium — putting them in company with the Olympic games played there in the past. Ever since esports started being a “thing,” a debate over whether they’re actually sports has taken place. For every person I’ve heard give an impassioned defense of their competitive merits, I’ve heard one mutter they aren’t “really” a big deal because it’s just people playing video games. I think we can put an end to the latter’s arguments, because esports (well, one particular game) is taking over Beijing’s biggest stadium — making it a very big deal indeed. The National Stadium — also known as the Bird’s Nest thanks to its distinctively wicker-like steel beams — was originally built for the 2008 Beijing Olympics and will play host to the World Championship finals and its opening and closing ceremonies. I think we can stop talking about whether or not esports has finally made it, considering the finals of a major event are taking place in a stadium with an 80,000-person capacity. And I’d wager the games will fill the stadium — earlier this year, 173,000 fans attended the Intel Extreme Masters event, so clearly the audience is there. Point being, the fact this esports event is taking place inside one of the most recognizable sports venues on the planet gives it some undeniable prestige. Esports are big; that’s a simple, undeniable fact — and it’s time to put this discussion to rest. The finals will be between Korean teams SK Telecom and Samsung Galaxy, and will begin at 7:30 am tomorrow in Beijing — that’s 7:30 pm tonight in EST. If you happen to not be in Beijing, you can watch it live on the LoL esports site. Click here for more info on the amazing speakers, the venue, and how to request an exclusive invite.